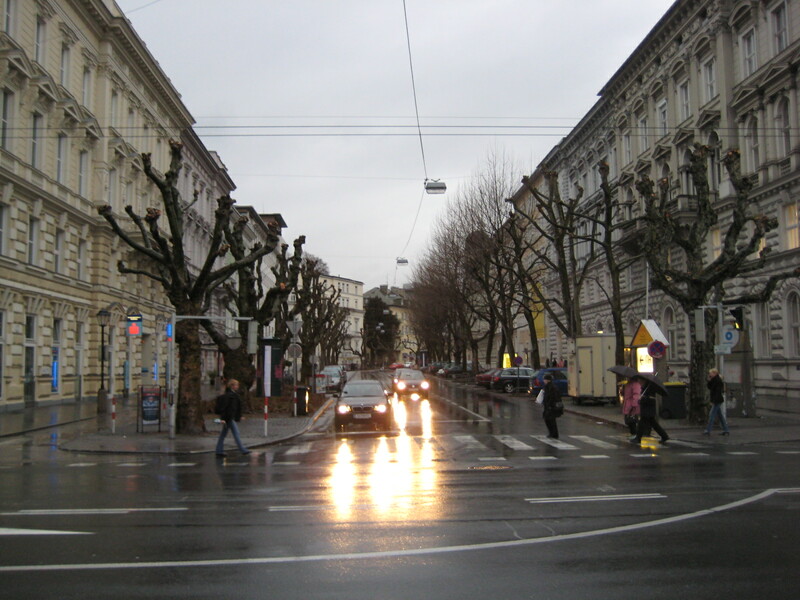 On the sixth day, I bid a momentary farewell to Wien since I was headed to Salzburg. 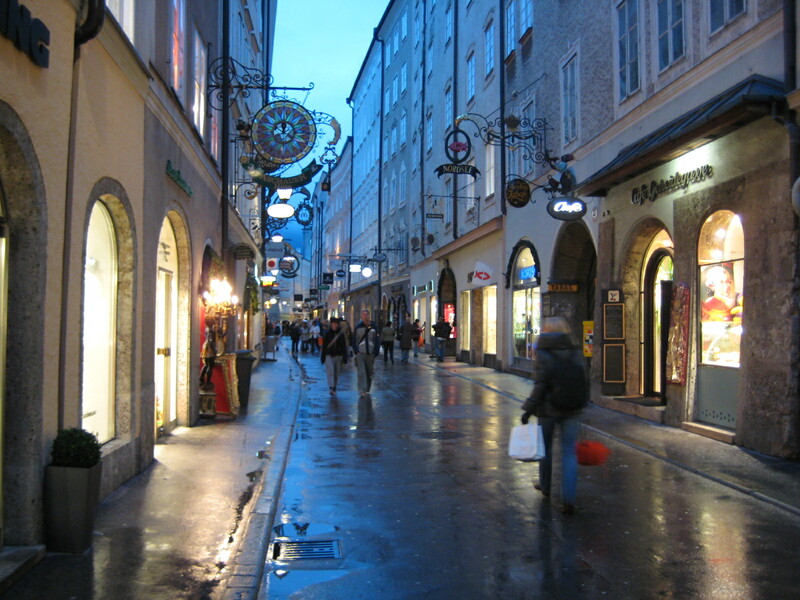 There I met with my parents once again and together we walked along the beautiful streets of Salzburg. 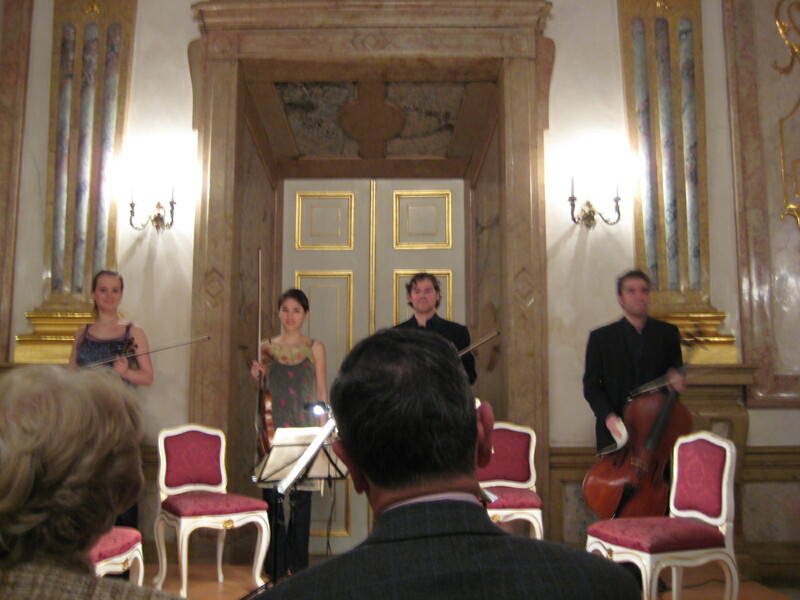 At night we went to the Mirabell Palace to watch an outstanding String Quartet performance. I never knew that this would turn out to be my life-time favorite concert. I originally wanted to take time to tour around the Belvedere Palace before the train at noon, but I decided to rest in with a slow breakfast and a long, warm shower. 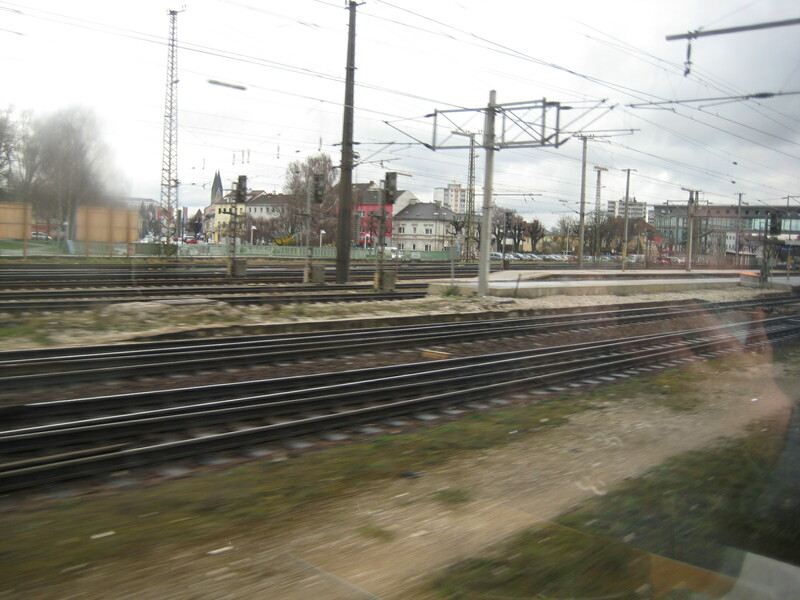 Around 11:00am, I checked out and went to the Wien West Station to grab some lunch and catch the train. The train had rooms. Six people could sit within, awkwardly facing each other. I wasn’t too lucky with my train companions: an old lady incessantly talking on her cell, a disheveled woman with a strong stench, and a very quiet school-girl. It was a loud smelly ride, but the sceneries over the window were amazing. 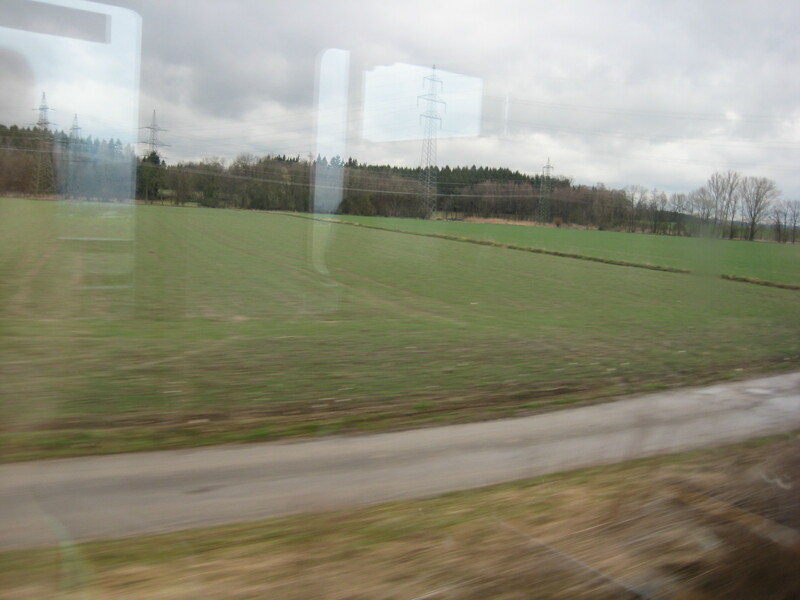 The country sides of Austria were very clean, pastoral, well sustained, beautiful, I-wanna-live-here-right-now-looking. 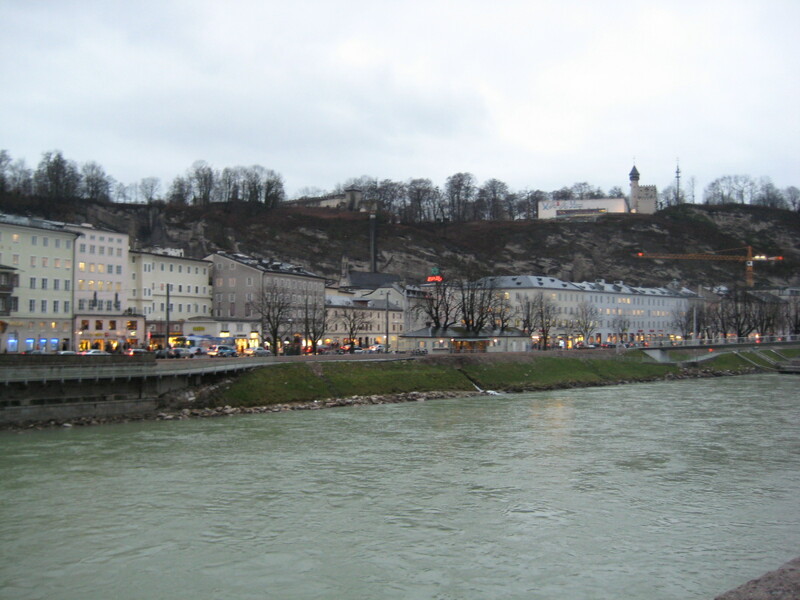 At 4:00pm, I arrived in Salzburg. I tried to find the hotel myself, but I got lost. It was a bit chilly and rainy, so I caught a cab eventually. 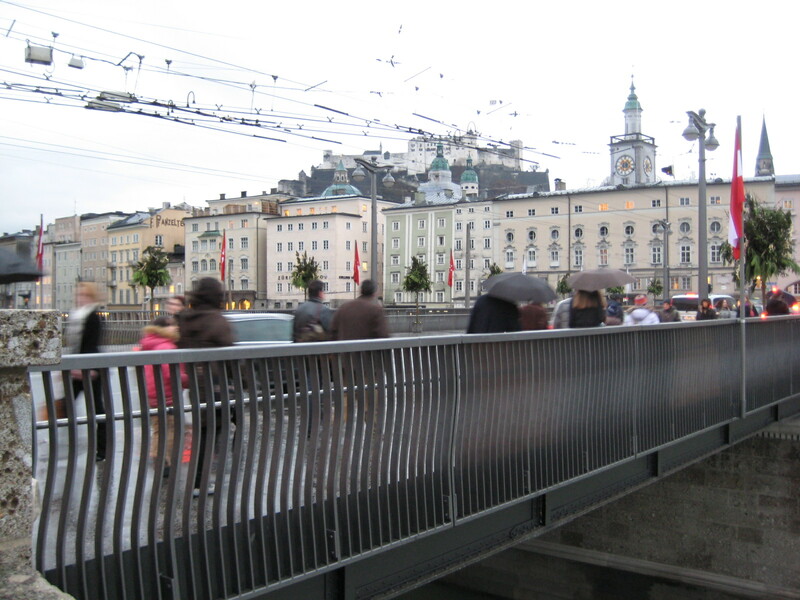 I reunited with my parents at the hotel and decided to briefly tour around the downtown of Salzburg. 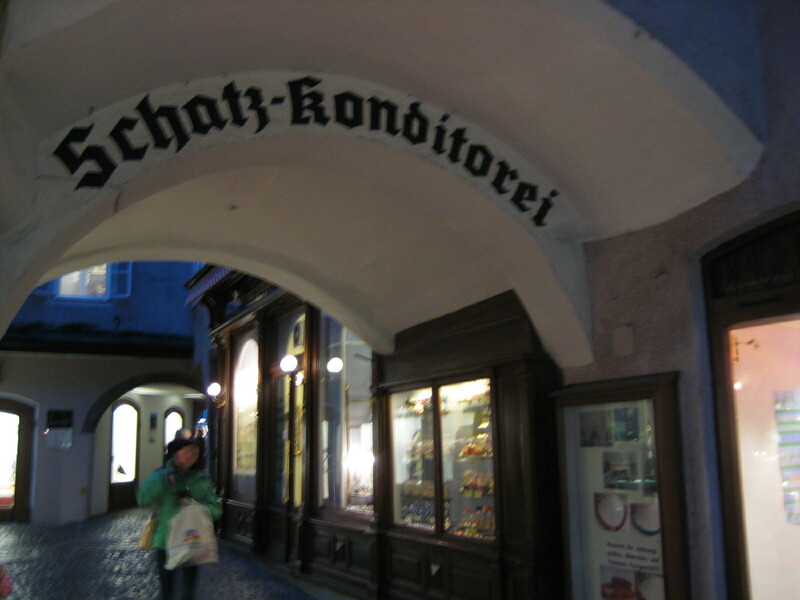 We walked over to Getreidegasse, where famous shops of Salzburg were located, including an authentic Mozart Chocolate shop. We bought some family gifts, and refreshed ourselves with a delicious Italian dinner. We got lost again while returning to our hotel, but that was all part of the fun. We arrived at the Mirabell palace for a String Quartet performance. I wasn’t expecting too much since the last string quartet in Wien was a bit disastrous. However, reading about them in the program got me animated a little. 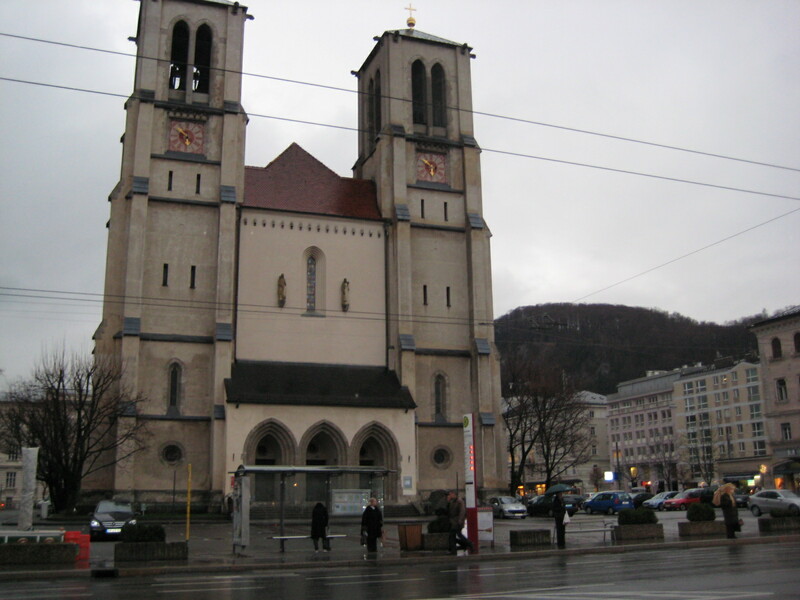 The quartet won a several international competitions and the National Bank of Austria even donated two violins and a viola for them. They must have played well! The first Mozart piece was the exactly same piece that ominously started the Mozart House performance. 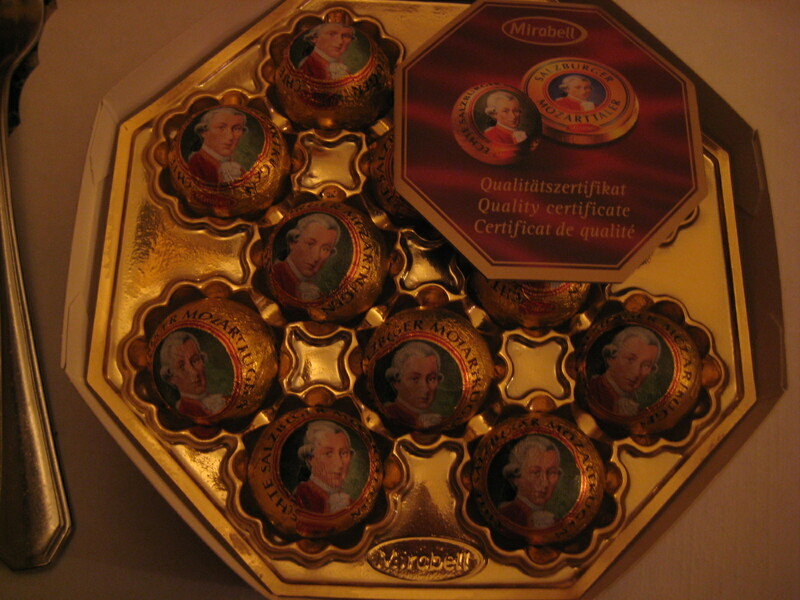 However, these guys in Salzburg were different. They made frequent eye contacts and breathed at the same time. They seemed like a single being with four bodies. I have never seen anything like it. The acoustics in the Mirabell Palace was superb as well. It gave me chills when the silence was filled with the shadows of the residual notes. The Haydn was fantastic as well. The first violin conducted with her breath and constantly communicated with each other. The four players’ movements were almost choreographed. Allegro con brio was rapid, yet the rhythm was meticulously maintained. Ending the minor piece with a Picardy third, the performers let out a breath at the end. I never knew Haydn was such a fierce guy. Beethoven’s B-major was a KILLER. Beethoven-ish contrast played throughout the piece. Plus I was very impressed when they flipped the scores of each other. Lots of silence were used in the piece, which suited the palace’s acoustics very well. Alla danza tedesca just sounded like a dance as Beethoven depicted human footsteps with sound so well. The four performers sounded as one, but I started to hear four different colors within the music. It was great to hear how individuality was alive within such a well cooperated artwork. They went straight into Grosse Fugue, the piece I studied in depth with Fr. Ambrose. I was blown away. It was powerful, avant-gard and crazy, but it didn’t strangle me around like Schostakovich. Grosse Fugue was acerbically criticized in the Beethoven’s times because it was too exotic at that time. The criticism continued even until the 19th Century and it was prohibited as a finale. However, now this piece was recognized as Beethoven’s one of the greatest works. Things we regard exotic and avant-garde may have different times for their appreciations. I was so thankful that I got to hear it from this superb quartet. I still remember it as the best performance I have ever heard.